The world has been shocked and horrified by the shooting of Harambe, a 17-year-old silverback gorilla at the Cincinnati Zoo. If you haven't yet heard the story, a four-year-old boy fell into the gorilla enclosure, and after some tense moments, with the gorilla dragging the boy around the compound and displaying behaviour that some have described as protective, others as dangerously agitated, zoo officials made the decision to shoot Harambe. 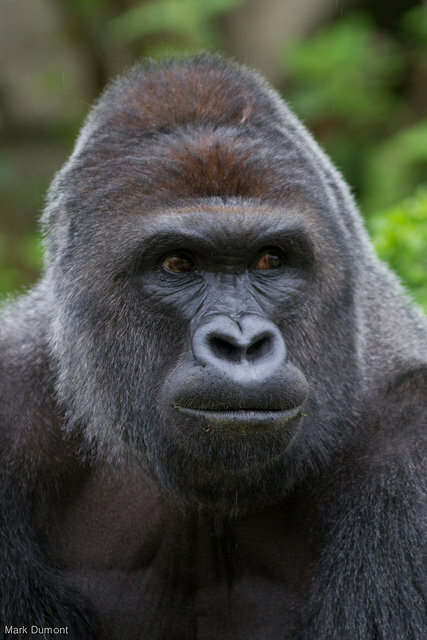 The child was rescued, relatively unscathed and the gorilla is now dead. I feel for everyone involved: the child, the distressed mother, the zoo employees called upon to shoot a creature that they had raised from birth — one of the last of his kind. As for Harambe, his death just makes me very, very sad. I have looked at the footage of the incident, and have thoughts, but given I am in no way an expert, or even slightly conversant in gorilla behaviour, I will not stoke the fire. I will keep my observations to myself. But here is what I do know: when there is conflict between humans and wild animals, whether they be a gorilla in a zoo, a performing elephant, or a fox living on a piece of land to be developed, the animal almost always loses. What can you do? You can reject circuses, zoos and aquariums that exploit animals for entertainment. Rather than trapping and relocating wildlife on your property, you can learn to coexist. If we make these changes, maybe one day the animals will stop losing.